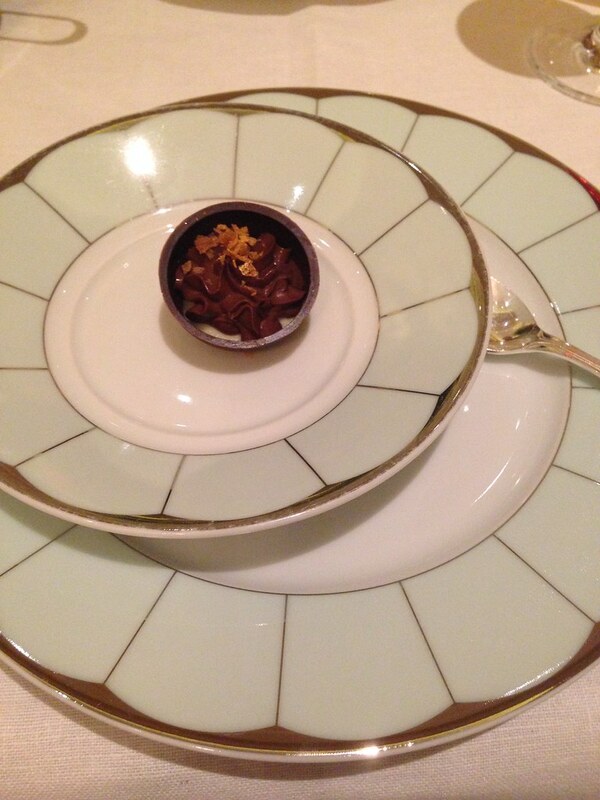 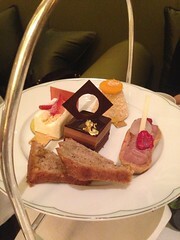 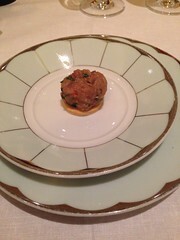 Afternoon tea at the Dorchester! Traditionally, loose tea is brewed in a teapot and served with milk and sugar. The sugar and caffeine of the concoction provided fortification against afternoon doldrums for the working poor of 19th and early 20th century England, who had a significantly lower calorie count and more physically demanding occupation than most Westerners today. For labourers, the tea was sometimes accompanied by a small sandwich or baked snack (such as scones) that had been packed for them in the morning. 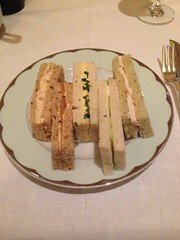 For the more privileged, afternoon tea was accompanied by luxury ingredient sandwiches (customarily cucumber, egg and cress, fish paste, ham, and smoked salmon), scones (with clotted cream and jam, see cream tea) and usually cakes and pastries (such as Battenberg cake, fruit cake or Victoria sponge). 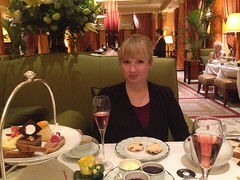 In hotels and tea shops, food is often served on a tiered stand; there may be no sandwiches, but bread or scones with butter or margarine and optional jam or other spread, or toast, muffins or crumpets. It was the emergence of afternoon tea that saw Britain regard biscuits as something dunked in tea; a British custom that was later exported around the globe. 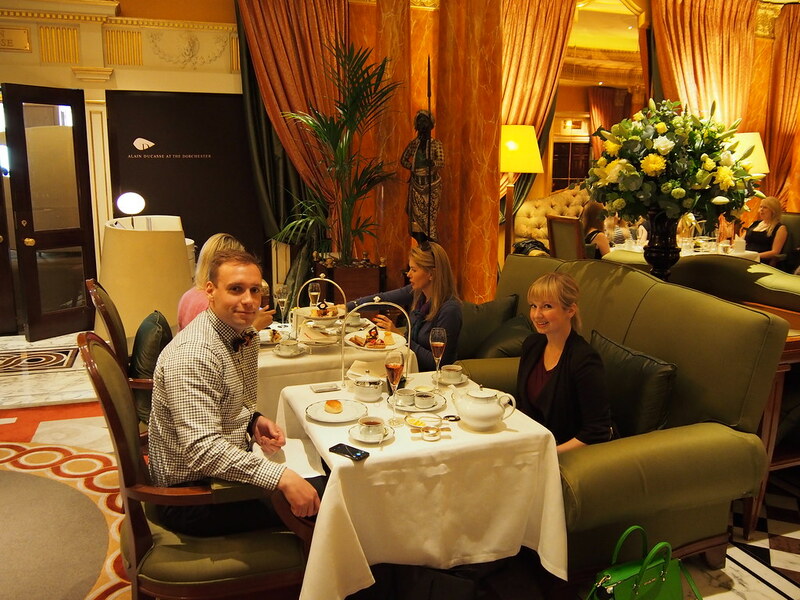 Afternoon tea is also served at luxury hotels around the world, we wanted to try Afternoon tea at the Dorchester, one of the best hotels in London. We had a great time feeling posh as the privileged for a few hours. 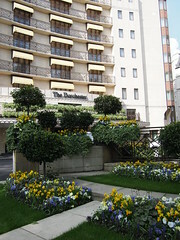 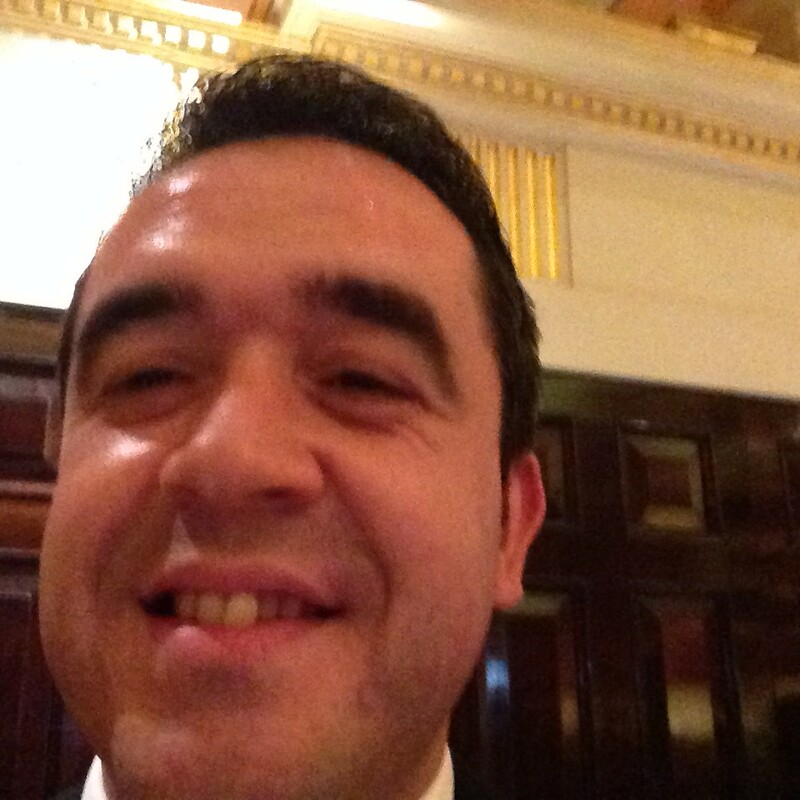 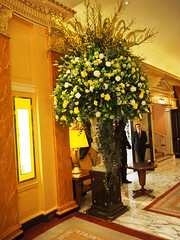 The Dorchester Hotel, Mayfair, London! 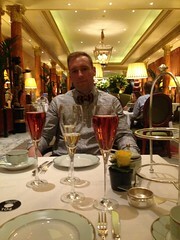 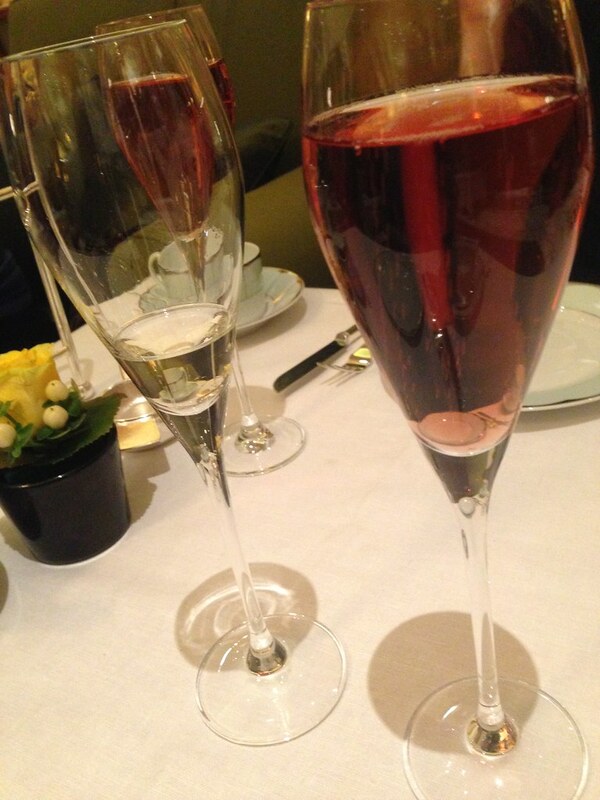 Afternoon tea with a few glasses of bubbles. The waiter having fun with the camera. Finally, the most important snack.